This bank rejection most commonly occurs with Credit Union institutions. We've found that some Credit Unions are rejecting transactions on verified bank accounts, even though the Credit Union successfully verified the account via Instant Verification. We've lowered the cost on this situation to help ease the burden of these rejections. Additionally, any users utilizing a Credit Union as their bank account will be required to perform Micro-Deposit Verification and will not be permitted to use the Instant Verification method. Although this issue is only occurring on a few select Credit Union institutions, we're now requiring Micro-Deposit Verification on ALL Credit Unions to help avoid rejection fees to Senders. We recommend any users with credit unions re-verify their bank accounts via Micro-Deposit Verification to ensure their bank doesn't reject an incoming transaction and result in a rejection fee ($5) being assessed to the Sender. 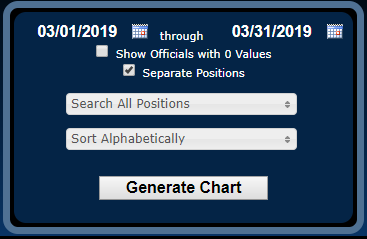 Assignors & schedulers may now customize the default sorting order of the list of Eligible Officials inside their assigning window. Previously, the list of Eligible (or Ineligible) Officials was always initially sorted alphabetically. Additional sorting options were available, but needed to be selected within each assigning window and after opening the assigning window, leading to a lot of extra mouse clicks. Scheduler & Assignors may change the default sorting to one of the sortable options ahead of time so the list initially sorts in their desired order. To do this schedules should navigate to their Personal Profile and specify their Default Assigning List Sorting under the Preferences tab. 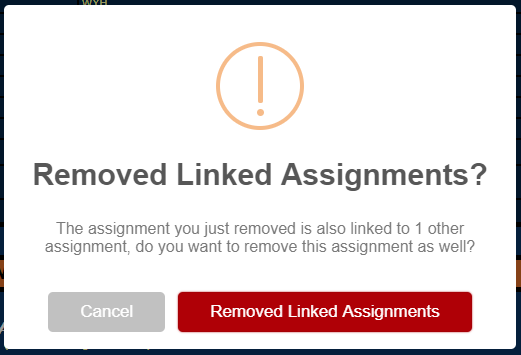 We've updated our free Android, iPhone and iPad apps to now allow for the quick deletion of linked assignments whenever one of the assignments in a link set is deleted. This functionality has already been available to schedulers, however, this was previously a feature that was exclusive to only the desktop/laptop versions of the system. This update now makes this functionality available to schedulers on mobile platforms too for more convenient mobile scheduling. We've upgraded our email system to now allow for multiple attachments when sending out emails. Previously, email messages were limited to 1 file attachment per email, however, you may now select any number of attachments for sending, as long as the total email size does not exceed the per-message limit. Email messages must be less than 10 MB in total size for all body content & attachments to be accepted. This is unchanged and has been in effect for many years. Emails over this total size are not accepted. Keep in mind when composing emails that there is other content beyond just attachments that is included so you'll typically need to keep your attachments to 7 MB or less in order to fit both the attachment and all other body content in your message. Our mapping systems have been updated to a new mapping provider to resolve a previously announced issue with Google Maps. The new mapping provider provides nearly identical functionality and all maps on the systems will now display normally without any warnings, which were previously being displayed via Google Maps. A few months ago, Google Maps announced major changes to their maps platform which put their services in a degraded state on our systems. The only viable resolution was to switch to an alternative provider to avoid price increases to customers for mapping services. Google Maps has long been our exclusive mapping display provider, however, mileage distances and geo-coordinates (latitude/longitude) have always been calculated from an assortment of providers, based on whichever provider reported the most accurate results for a given address. This update does not affect mileage, directions or geo-coordinates (latitude/longitude) calculations. This update purely changes only the map displays that you view on the system. We've added the ability to quickly change assignment positions via our free mobile apps for Android, iPhone & iPad. This functionality was previously only available via the desktop/laptop versions of the system, however, it has now been extended to our mobile platforms as well. To quickly change an assignment positions, schedulers can navigate to the Game Details page for any game and use the new Edit icon next to any position/assignment that exists. Schedulers are now able to retract TBA Requests in bulk using the new Mass-Retract option. This option is now available in the top toolbar of the Master Game Schedule page for schedulers/assignors using the TBA System. A fix has been implemented that caused the date selector not to appear for schedulers attempting a mass-edit. This limited scenario only occurred in a few instances, but should now be accessible normally in all scenarios. We've updated the Assignment Comparison Graph with new position filtering & sorting options. 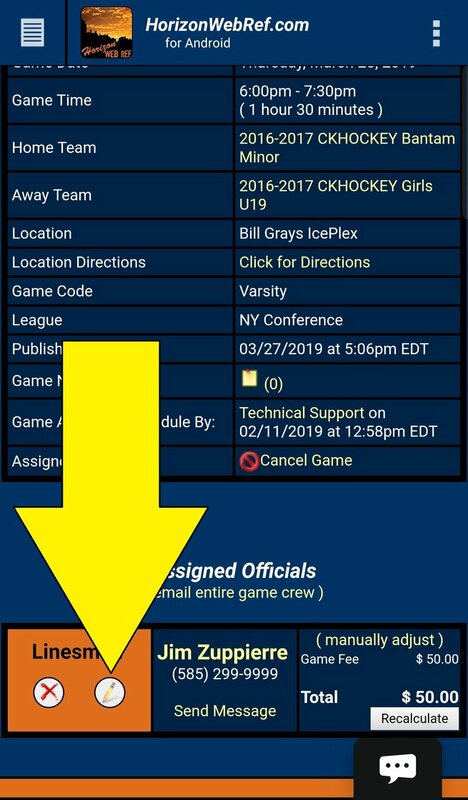 These new options for generating the graph will allow assignors and administrators the ability to quickly see how their game assignments are being distributed amongst their membership to better understanding assignment counts and how they compare to other officials in the organization. Surely Horizon Dynamic Web Designs LLC. will start publishing changelogs very soon.